I found this book on the Fantasy and Sci-fi Rocks My World Facebook page. The cover looked awesome. The premise sounded like a story I would love. I so wanted to love this book. I was so excited to start reading it. I expect my novels to be at least 350 pages. I prefer more. I am usually annoyed if the novel is only 300 pages. Imagine my surprise when “The End” arrived at page 214. I felt like I only got half a book—OK, maybe two-thirds of a book. I had a really hard time reading this book. It took me almost two weeks. I usually devour a good book of 400+ pages in a couple nights. If they are really good, I give up sleep to read them. This one never kept me up reading it. The writing didn’t work for me. William Massa chose to tell this story using the omniscient perspective. It seemed awkward to jump from one character’s thoughts to the next character’s thoughts. Her fear stood in sharp contrast to the ecstasy flickering over Cael’s gargoyle features. This sentence is a telling sentence. Rhianna feels fear. Cael feels ecstacy. Those feeling contast. However, because he used the verb “stood” it seems like an active sentence, but it really isn’t. Stood is really just an alternate for the verb “was” in this sentence. In J. Abram Barneck’s article, Painting away passive voice, he explains that replacing the passive voice verb with an active voice verb is the first step, but that first step is not enough. Unfortunately, in this book, it seems the first step was as far as the author got in improving his passive voice sentences. Overall, the book is probably worth the $2.99 it cost, especially if you like Gargoyles, which I do. Cael and Artan are brothers in medieval Ireland. Artan is the younger brother, but is chosen by their father to inherit the throne due to Cael’s delving into dark magic. Using the power of the evil god Balor, Cael creates gargoyles and destroying the kingdom, killing Artan’s wife and children. Flash forward to modern New York where Cael and Artan are stone Gargoyle statues. They are awakened when the Eye of Balor, a broken gem, is mended by blood after Rhianna cuts herself on jagged edge. Can Artan and Rhianna stop Cael before bringing on the apocalypse? There were other typos. Along with the typos there were also some end quotes that were backwards. The uniqueness is the one shining star in this book. 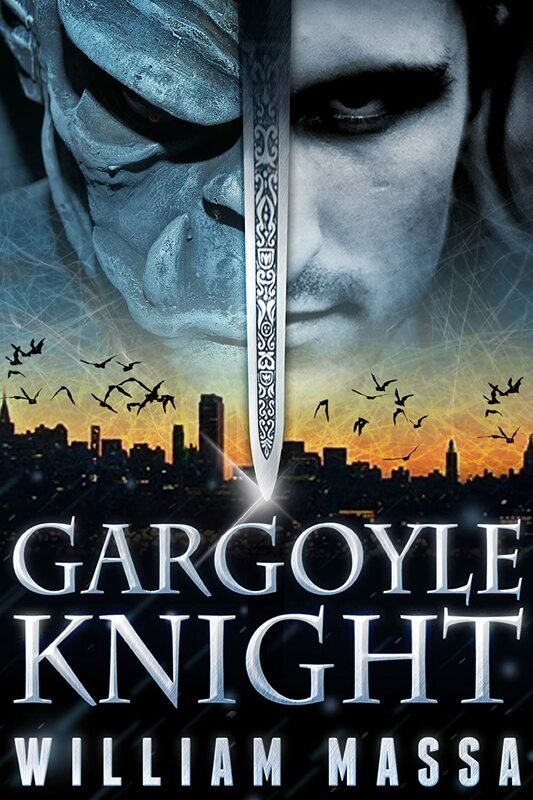 I love Gargoyles and hadn’t yet encountered a Gargoyle urban fantasy. So this was a first. The overall story was well-imagined but when it came to the fine details, the story was like a Monet painting; lacking the details up close. Artan is the good Gargoyle. Cael is the bad Gargoyle. Rhianna is the daughter of an archaeological and finish her masters thesis in archaeology herself. There were other minor characters, but the book was too short to really get to know any character other than Artan and Rhianna. The magic was minimal and used by Cael. It seemed to be an evil gift from the dark god Balor. There was no “good” magic. The magic seemed to be mostly used to create Gargoyles and prepare for a ritual to release Balor into this world. The book has an amazingly well-done cover. I loved the cover. There were some issues here and there. Inconsistent use of the ellipsis. Unnecessary double spaces between paragraphs. End quotes that actually incorrectly beginning quotes. Profanity: No swearing at all that I recall. While there is no swearing in the Gargoyle Knight, there is an F-word at the back of this book in the teaser to his other novel Silicon Man. Violence: The battles have violence. There is red blood and black gargoyle blood. And a head is cut off. William has lived in New York, Florida, Europe and now resides in Venice Beach surrounded by skaters and surfers. He is the writer of FEAR THE LIGHT, GARGOYLE KNIGHT and SILICON MAN.